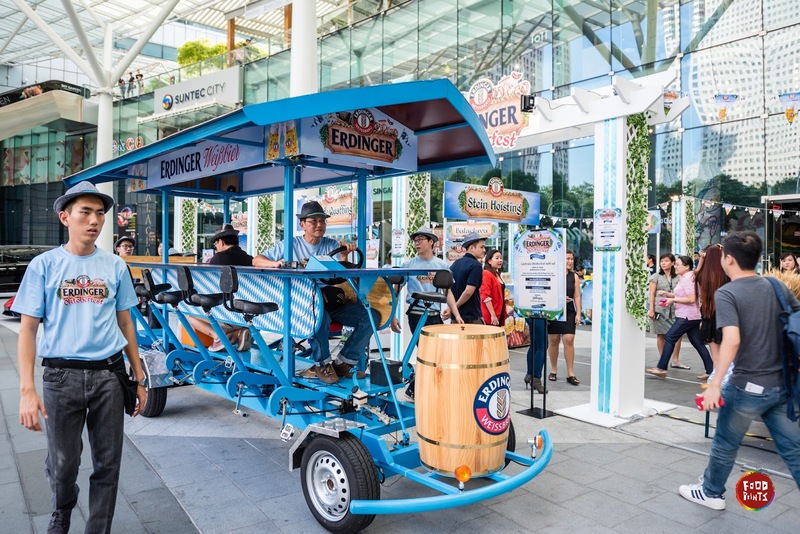 Join us for a festival of fun as we toast to the world’s most popular wheat beer, tasty German eats from the grill and traditional Oktoberfest games all in celebration of this fun Bavarian tradition. Prost, Prost, Prost! So swing by the countryside and bask in the festivities of Oktoberfest. After all—what's a party without food, beer and fun, really? As a special treat, if you’re amongst the first 50 to flash this message at the coupon counter, you’ll get a pint of Erdinger at the main bar on us! Feast on irresistible Oktoberfest specials such as ‘Roasted pork belly with smoked potato puree & blue cabbage, amongst other authentic German eats from live food station pop-ups. Food will be priced from $5 to $20 nett. Then work off those calories as you pedal through The Oval whilst sipping on beer—because drinking beer over the bar counter is so passé. You can expect Erdinger pints at $10, and shuttles at $55 nett! Then sing and dance along to lively, authentic German music by 5-piece Oompah band, Die Dorf Fest Kapelle. Also, come dressed in white and blue and immerse yourself in the merriment of traditional beer games such as Stein Hoisting, Gelande Quaffing, Rasenski, Hammer Schalgen and The Cow Milking Game.